My son, Jackson, has started an online homeschool literary magazine for high school students. I was hoping that you could include it with one of your emails, or on the Everest Academy site. He is very excited and hopes that it will be successful. This is their first issue and will be published online sometime in March. It's a great opportunity to add to a college application! 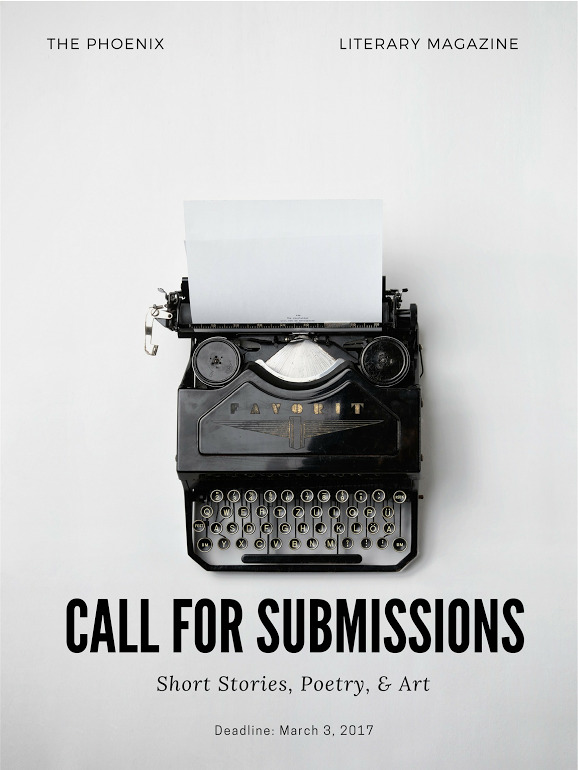 The Phoenix literary magazine is accepting submissions of short stories, poetry, and art for our 2017 online magazine’s issues. First issue submission deadline is March 3, 2017. The Phoenix is a high school literary magazine for homeschool students. 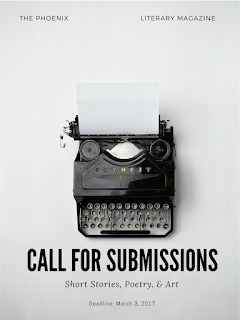 We invite homeschool students (grade 9-12) to submit poetry, fiction/non-fiction, short story, prose, essays, and images of artwork (all mediums). Submissions must be original and completed by a currently enrolled homeschool student.